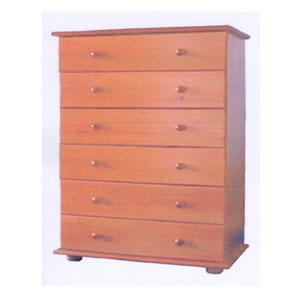 6-Drawer Chest in Solid Pine Wood. Available in Honey Pine, Oak, Mahogany and Natural. Strong Construction. Easy to assemble.